There was a 30 basis point decrease in the 15-year gilt yields for the month from 3.00% down to 2.70% after fears that EU leaders would not be able to control the contagion within the Eurozone. After the news of the Greek Referendum the cost of borrowing for Italy soared with the two year bonds cost increasing to 7.8% up from 4.6% previously. These levels are near to unsustainable levels for the country and due to the markets fear that Italy could be the next to require a bailout. These factors have resulted in annuity rates decreasing by as much as 3.5% for standard annuities and 2.7% for smoker rates. Impaired annuity rates have also decreased to reflect the fall in gilt yields. 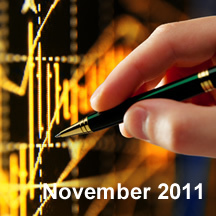 For November the total annuity rates market decreased by 100% and no annuity rates remained the same or increased. These figures are based on a fund of £100,000 from male, female and joint and with different features such as level and escalating. Fig 3 above shows that for November there was a significant decrease in the latest annuity rates market overall for both standard and smoker rates. 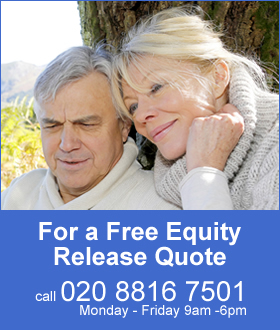 The range of decreases were from 0.2% to as high as 5.6% with the largest decreases for standard annuity rates with escalation for pensioners aged 55 to 65 for males, females and joint life annuities. Standard annuities have seen the largest reductions for pensioners aged between 55 and 60 with typical decreases of 3.0% to 5.6% and smaller decreases for those aged 70 to 75 of 0.2% to 2.0%. For smoker pension annuity rates the reduction is the least for joint life annuities with decreases of 0.3% to 2.5% and the largest reductions for pensioners aged between 55 to 60 with typical decreases of 2.0% to 4.0%. The decreases were mainly due to Liverpool Victoria reducing their rates across the board twice during November. A 20 basis point reduction in the 15-year gilt yields would result in roughly a 2.0% reduction in annuity rates. Looking at the reductions over two months, the standard joint annuity rates have decreased by a greater amount than this, 2.88% for level joint rates and 4.08% for 3% escalating joint rates. This would suggest an increase for these annuity rates of 0.88% to 2.08% if gilt yields remain above 2.7% and the same is true for single male escalating rates. Smoker annuity rates appear to have reflected the decrease in gilt yields in the short term although over the longer term these rates do look like they could fall by a further 3-4%. The impaired annuity rates were volatile with times where margins were nonexistent to times at the end of November with improving margins and improvements in the annuity rates.